How do you deal with a co-worker you personally dislike? First, don’t talk badly about the person. You may not like somebody, but chances are someone likes him or he would not have been hired. Also, the person you dislike may be good at his job. Some workplaces are more political than others, and some cultures can seem like popularity contests, but stay out of it. Talking bad about someone you dislike will only make you look worse and distract from your work. If you are in management (or want to be), you should be viewed as unbiased and able to get along with people on the team. Also, people talk, and likely it will get back to the person, which will only make your problem worse. Second, don’t engage with the person. If you can, move teams. Spend as little time with him as possible. It’s exhausting and draining trying to work with someone you dislike, so minimize your interactions. As a manager, a surprising amount of my time was spent dealing with co-workers who did not like each other for petty reasons. It’s not a productive use of time or energy, especially if you loop in other people. So be professional, and if you must trash talk, do it with people who aren’t your co-workers. However, if this person crosses the line, engages in harassing or abusive behavior, or is seriously impeding your ability to do your job, document the issues. Go to human resources. 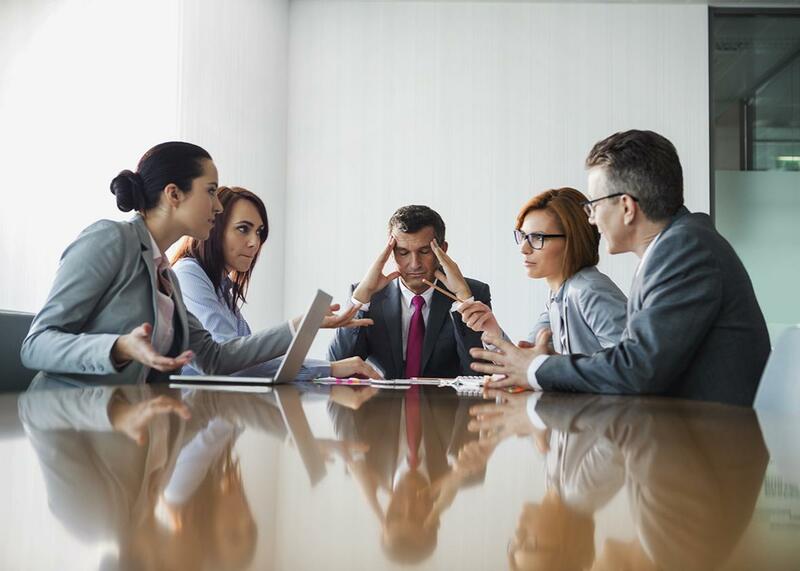 Keep your personal dislike out of it and focus on the behavior that is hurting the company. Is this someone you dislike or someone who is a true liability to the company? Finally, trick yourself into working well with the person. If you cannot get away from him and need to make it work, try to trick yourself. There are a few ways you can do this. One is to do him a favor. Surprisingly, doing something for someone you dislike actually makes you like the person a bit more due to cognitive dissonance. Basically, we strive for internal consistency and want our thoughts and actions to be consistent. It doesn’t make sense to do something nice for someone we dislike, so we trick ourselves into thinking we actually do like the person. I actually tried this once, and it did work—in the short term. You can also try to focus on the things you do like about this person. Perhaps he has nice kids or likes the same sports team as you. Whatever it is, just steer the conversation toward common interests and getting work done and away from the behavior you dislike. Influence: What are some counter-intuitive ways to influence people? Leadership: What are the best leadership lessons to learn from Game of Thrones?